In address to Saudi Shura Council, King Salman stresses Palestinian issue and does not mention Khashoggi murder. 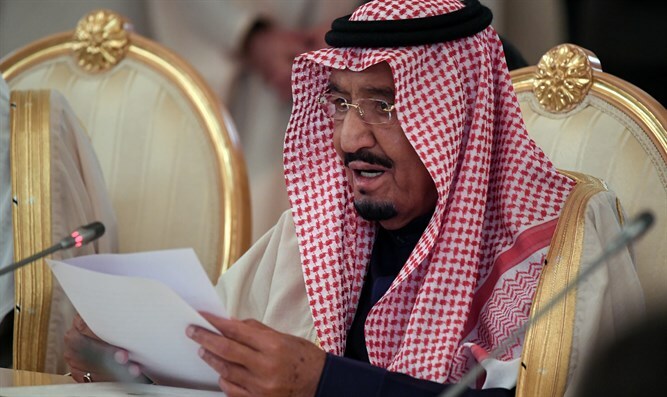 Saudi Arabia's King Salman on Monday did not mention the murder of Saudi journalist Jamal Khashoggi in his annual address to the kingdom's Shura Council. Instead, the king focused on the war in Yemen, on containing Iran and on the Palestinian issue. Reports in recent months indicated that Israel and Saudi Arabia had been getting closer. Palestinian Authority officials told Reuters in December that the king’s son, Crown Prince Mohammed Bin Salman, had pressed PA chairman Mahmoud Abbas to support a US peace plan despite concerns it favored Israel. King Salman later reassured Abbas the kingdom will not endorse any Middle East peace plan that fails to address Jerusalem’s status or the “right of return” of so-called “Palestinian refugees”. The Crown Prince has also said in the past that Israel has a "right" to a homeland. King Salman later reaffirmed his support for the PA in a phone call with President Donald Trump. Regarding Iran, King Salman accused the Islamic Republic of sponsoring terrorism in the region, and called on the international community to counter Iran’s nuclear and ballistic missile ambitions. “The Iranian regime has consistently intervened in the affairs of other states and sponsored terrorism, sowing chaos and destruction in many countries,” he said, according to Saudi media reports. While he did not mention the Khashoggi murder, the speech came as pressure continues to mount on the Saudis over the murder. Saudi Arabia admitted for the first time several weeks ago that Khashoggi was killed after entering the consulate in Istanbul, after previously denying Turkish claims that he was murdered. At the same time, the Saudi leadership claimed Khashoggi was killed in a “rogue” operation. A report on Friday claimed the CIA has concluded the crown prince ordered the killing, but on Saturday, the State Department clarified the government was still working on determining responsibility for the death of Khashoggi. Trump, who is set to receive a report on Tuesday on the Khashoggi murder, has derided the killing as "one of the worst cover-ups" in history.